Semi-flexible 5 inch curved blade. Orange handle. Designed and manufactured for the professional meat cutter or butcher. The Mastergrip line of knives feature polished, sharp, and durable blades constructed of X55CrMo14 stainless steel with a Rockwell hardness of 56. Edges are laser-tested. Blades exhibit good edge retention and sharpening qualities. 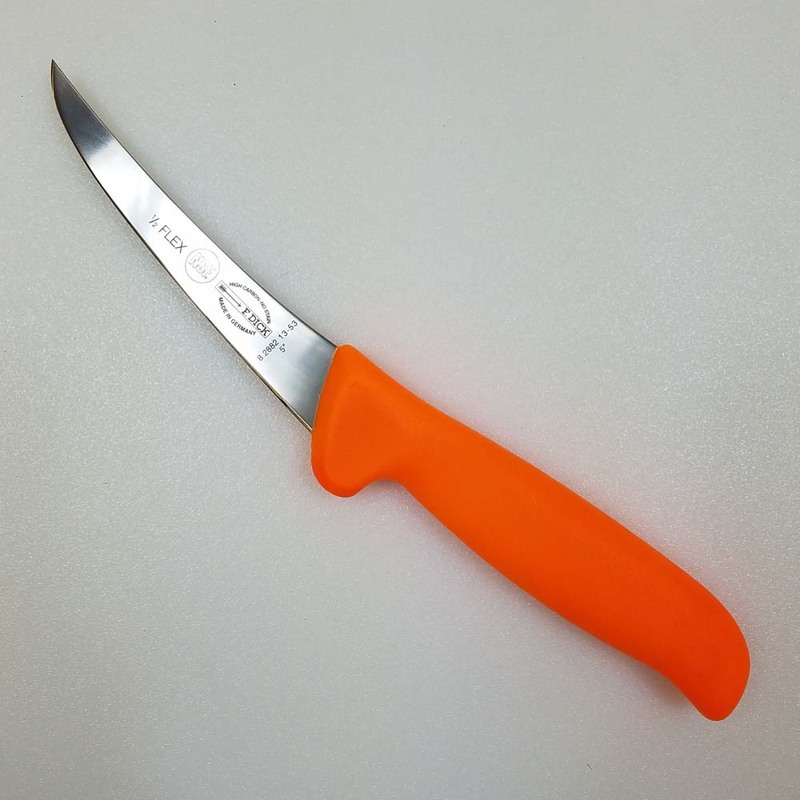 The orange, anti-slip handle is constructed of a wear and abrasion resistant nylon polymer which also provides good chemical and heat resistance. The low profile handle design provides excellent grip and control. Handle to blade bond is seamless and tight. 9/25/2009 – What is the cost for shipping?